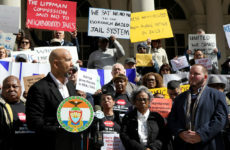 Despite the spirited protest on the steps of City Hall, the City Planning Commission one day later voted to certify the mayor’s jail plan, sending it to the first stage of the ULURP process. Representatives from the Department of City Planning and the Mayor’s Office of Criminal Justice (MOCJ) told the nine-member commission that their plans for Concord Avenue, which will require rezoning, will include retail along 141st Street, community space and 235 units of affordable housing. “In the city we don’t have any jails of this size,” she said. “We understand that height and density is still a concern for neighborhoods,” said Dana Kaplan, Deputy Director of the MOCJ. 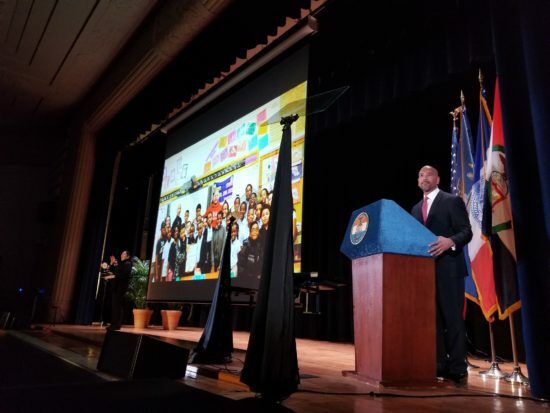 Bronx Community Board 1 will take up the issue at its April meetings, and has 60 days to review it through public hearings, beginning on April 3. Community boards’ findings are merely advisory, however. Even if Board 1 gives the project a thumbs-down, that decision would be non-binding. It moves on from there to the Borough President’s office, the City Planning Commission, the City Council and finally the mayor’s office, before a final decision is reached. Local elected officials remain split about the jail’s location. Councilwoman Diana Ayala, in whose district the tow pound is located, has backed the plan from the moment the mayor announced it in early 2018. Ayala says residents could use the city’s plan as leverage to demand benefits for the neighborhood, such as needed public services. Ayala’s office has organized monthly Neighborhood Advisory Council meetings, where residents and city officials discuss the possible impacts on Mott Haven. Some residents, including some members of Community Board 1, have questioned whether those meetings are as open to public participation as the councilwoman says, and are skeptical about the inclusiveness of the public process in general. City Councilman Rafael Salamanca Jr., who holds one of that body’s most powerful positions as chair of its Land Use Committee, stands with Diaz and the opponents, arguing that the right place for a new jail is next to the E. 161st Street courthouse. 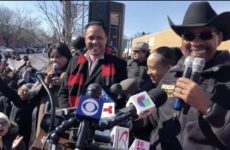 He is calling for the Bronx’s other detention facility, the Vernon C. Bain jail barge moored off the Hunts Point section of his district in the East River, to be closed, which is due to occur when a new jail is built. But Councilwoman Vanessa Gibson, whose district includes the area around the 161st Street courthouse, opposes a jail in her district. In addition, two of the three parcels alongside the courthouse are state-owned, leaving the city with only one parcel the mayor’s office says is too small to build on, leaving what Ayala said at a contentious March 28 meeting of Community Board 1 would be a “really awkward” 40-story building. In the March 28 meeting, Ayala apologized to Board 1 members for not having been more transparent about the plan when it was first announced, but insisted that the tow pound is the only one of 15 possible locations that the city vetted that met its requirements. “The only site that fit all of those boxes was the pound,” she said. The story was updated on March 28. Although an arraignment court for all detainees citywide was initially considered for the new Bronx facility, that detail was subsequently scrapped.